Added to Our Birthday Party: Chairman Bao! 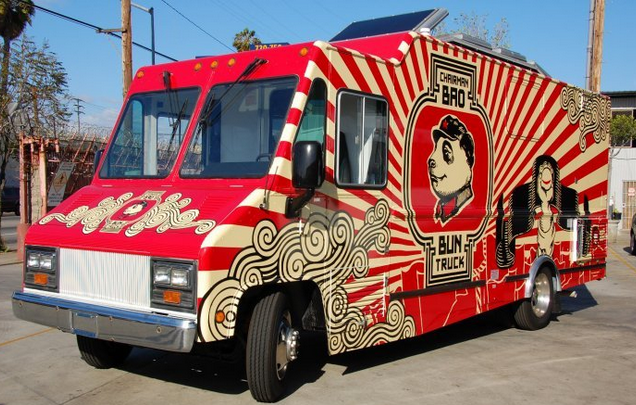 We’ve got an exciting addition to Muni Diaries birthday fun next Saturday: the Chairman Bao truck will be parked outside of the Make-Out Room for all your pork belly needs! If you’ve had the Chairman’s pork buns or spicy duck mango buns, you’ll know why we’re so excited. My mouth is watering right now. The Chairman is rarely in the Mission on Saturdays so be sure to come and pay your respect. April 28 6 p.m. to 9:30 p.m. Free! Get down with your fellow riders and celebrate life on the bus! * Jam to 90s hip hop courtesy of DJ SMA of DEBASER. * Free el Jimador margaritas! * Look sharp and hop into the Orange Photography photo booth. * Munch on free 4505 Meats chicharrones while supplies last. * The Chairman Bao truck will be right outside of the Make-Out Room! By the way, keep up with The Chairman at his new Facebook fan page, linked in this update. They’re transitioning out of the old page linked originally.